The City of Makati, or simply Makati, is one of the cities and municipalities that make up Metro Manila, the greater metropolitan area of the national capital of the Philippines. It is the major financial, commercial and economical hub in the Philippines, often referred to as the financial capital of the Philippines since many global companies have their offices and headquarters in the city. Makati is also home to the influential Makati Business Club and the Philippine Stock Exchange. Ayala Avenue, running through the heart of the Central Business District is often called the Wall Street of the Philippines. 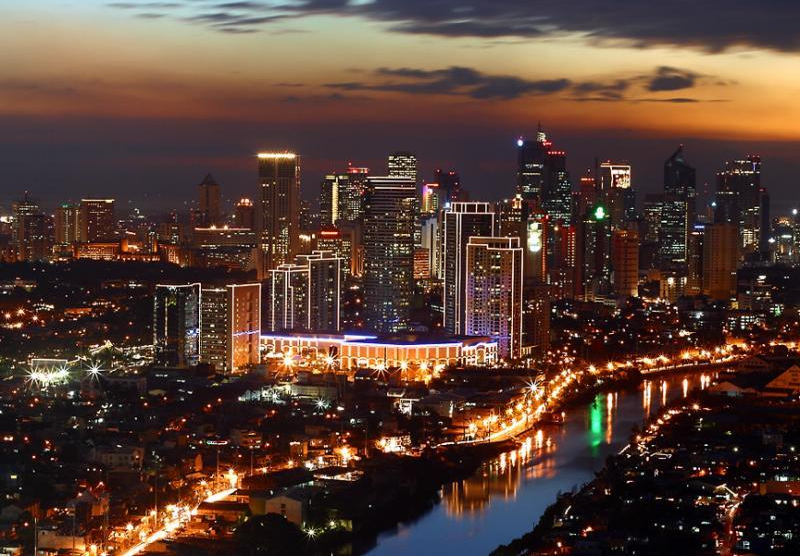 Makati is noted for its highly cosmopolitan culture, also being a major cultural and entertainment hub in Metro Manila. Many expatriates live and work in the city. Makati is also home to many first-class shopping malls, which are located at Ayala Center and Rockwell Center. The city also has many of the country's five-star hotels like The Peninsula Manila, the Mandarin Oriental, the Shangri-La Hotel Makati, Renaissance Hotel, Intercontinental Hotel Manila, and Dusit Hotel Nikkō. Independent business travelers also benefit from budget hotels like the Saint Illian's Inn, El Cielito Inn, The Copa Businessman's Hotel, and The City Garden Suites, while serviced apartments like The Salcedo Suites, Fraser Place Manila, The Sunette Tower, and The Oxford Suites are gaining in popularity among business-minded travelers as well. Makati came from the Tagalog word kati, which means tide. This primarily refers to the rise and ebb of the tide of the Pasig River on the city's northern border. The city was also known as San Pedro Macati during the Spanish era. Today the city is one of the most modern cities in the country and the Philippines' major global economic competitior in Southeast Asia. However, it faces challenges due to the disparate gap between the new city in the west, which contains the Central Business District, and the old city in the east, which is largely poor and where most of the city's slums are located.